IMPORTANT: A woman can start using COCs any time she wants if it is reasonably certain she is not pregnant. To be reasonably certain she is not pregnant, use the Pregnancy Checklist. Also, a woman can be given COCs at any time and told when to start taking them. If she is switching from an IUD, she can start COCs immediately (see Copper-Bearing IUD, Switching From an IUD to Another Method). If she is switching from injectables, she can begin taking COCs when the repeat injection would have been given. No need for a backup method. Give her COCs and tell her to start taking them 6 months after giving birth or when breast milk is no longer the baby’s main food—whichever comes first. If her monthly bleeding has returned, she can start COCs as advised for women having menstrual cycles. Give her COCs and tell her to start taking them 6 weeks after giving birth. Also give her a backup method to use until 6 weeks since giving birth if her monthly bleeding returns before this time. She can start COCs any time it is reasonably certain she is not pregnant. She will need a backup method for the first 7 days of taking pills. She can start or restart COCs immediately after she takes the ECPs. No need to wait for her next monthly bleeding. If she does not start immediately, but returns for COCs, she can start at any time if it is reasonably certain she is not pregnant. 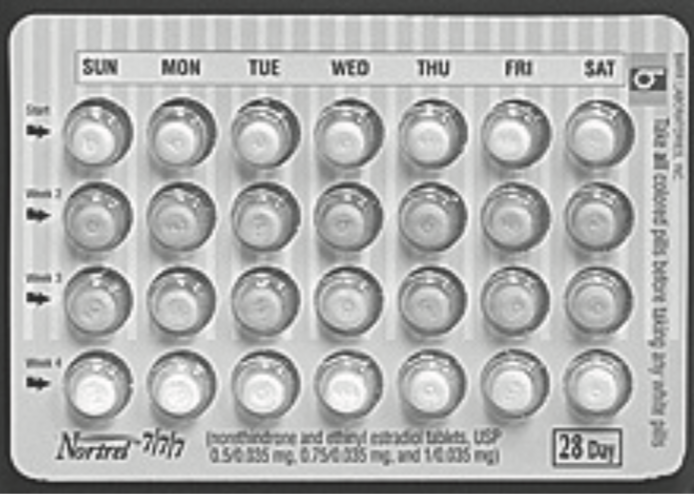 All women will need to use a backup method for the first 7 days of taking pills. She can start or restart COCs on the 6th day after taking UPA-ECPs. No need to wait for her next monthly bleeding. COCs and UPA interact. If COCs are started sooner, and thus both are present in the body, one or both may be less effective. She will need to use a backup method from the time she takes the UPA-ECPs until she has been taking COCs for 7 days. If she does not start on the 6th day but returns later for COCs, she may start at any time if it is reasonably certain she is not pregnant. † Where a visit 6 weeks after childbirth is routinely recommended and other opportunities to obtain contraception are limited, some providers and programs may give COCs at the 6-week visit, without further evidence that the woman is not pregnant, if her monthly bleeding has not yet returned.